Fight on the Flag » Blog Archive » Return to Warcraft? Since December a small group of us has been playing World of Warcraft. I was very conflicted about even admitting it because I’ve been on the fence about whether to stay (truth be told I still am). I get the feeling we are only playing WOW because there is nothing better to do. 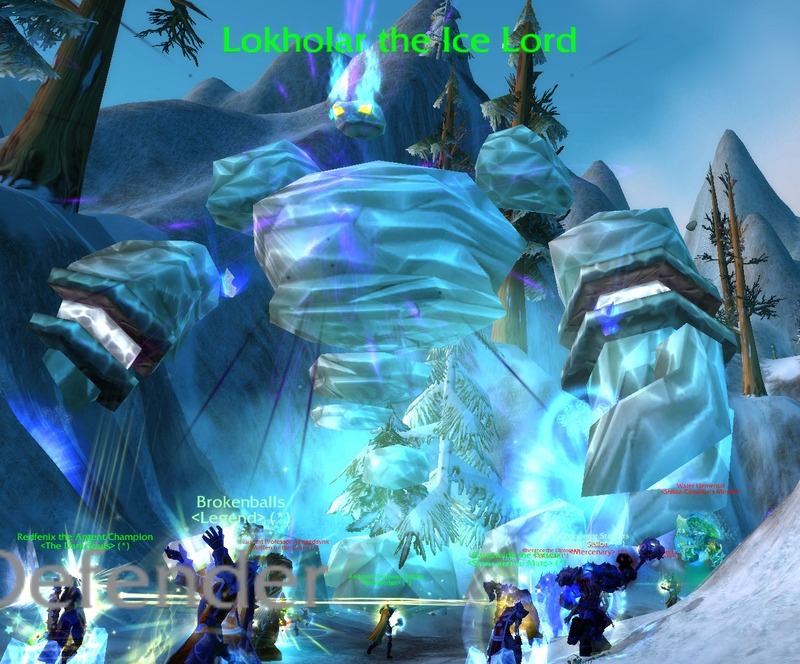 I remember the good things about WOW PVP with my guild. The way we could turn the tide of a battle, especially in Alterac Valley, has been awesome. Summoning Lokholar is still as fun as it was the first time we did it. It never ceases to amaze me how few people have seen Lok and how excited they get when he starts to rampage. I don’t think the Alliance even bothers to summon their Lok counterpart. Our guild name is still very relevant. One thing I do want to do is try to recruit more people to play with us. We have five active players with full PVP gear. We need five more for rated BGs. I always approach recruitment with a degree of trepidation because you have to wade through so much crap to be able to get to the good players. I feel it’s almost not worth it. Now, on to the really, really bad. The BG queues have been broken for at least a week. You can be in queue for 30 minutes and never get a single pop while others can be in queue for 5 minutes and get in. While dozens of players have posted about these problems, I do not believe Blizzard has responded to a single complaint. This concerns me but I am not really surprised. The last time WOW screwed with BG queues we all quit the game (remember patch 2.4? I do and it’s been three years). As a result Saaz and I have preemptively canceled our accounts. I hope they fix this by March. This entry was posted on Saturday, February 19th, 2011 at 10:33 am	and is filed under Alterac Valley. You can follow any responses to this entry through the RSS 2.0 feed. Both comments and pings are currently closed. Yup. You should come play Rift.